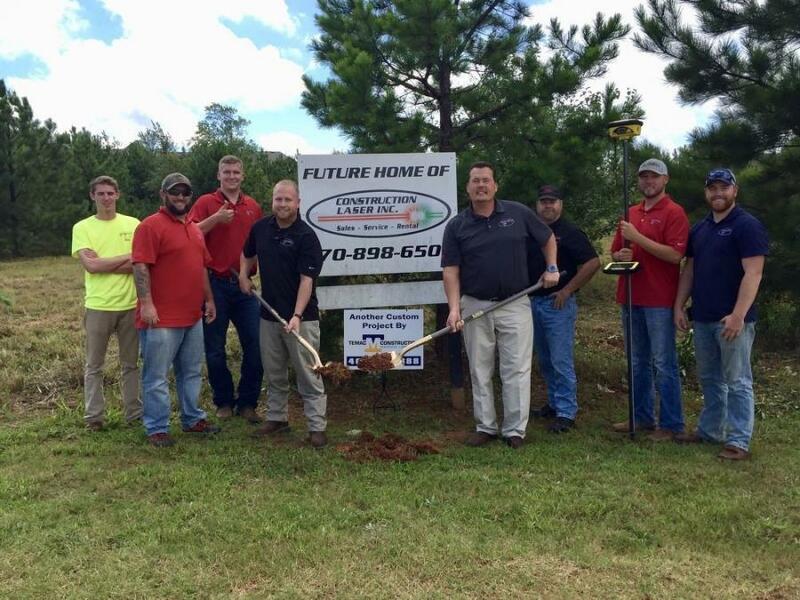 The staff of Construction Laser Inc. recently broke ground on the new headquarters facility at 1025 Henry Parkway Connector in McDonough, Ga.
Construction Laser Inc. based in McDonough, Ga., recently broke ground and is currently constructing a new headquarters facility at 1025 Henry Parkway Connector in McDonough, Ga. Owner and founder, John Rosier said that the company's growth has been tremendous over the past 15 years and the new building will provide his staff with an enhanced support mechanism for his customer base. The new facility design incorporates an expanded training center, shop areas for installations and increased storage area for parts and new product. Rosier said that relocation will keep the company on the same main thoroughfare they are currently located on, but will be north of I-75, which will make for easier access, with much less traffic congestion. For more information about the construction of the new facility and Construction Laser products and services, call 770/898-6505 or visit www.constructionlaser.net.